Sure, Labor Day and Administrative Professionals Day are important holidays and your employees deserve recognition on those occasions, but the reality is that your employees work hard all year long. If you haven’t yet established some type of recognition program, you should strongly consider it. 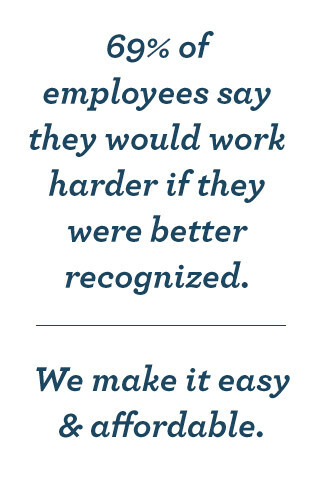 Study after study has shown that employees respond to recognition programs. The simple fact that you’re making a concerted effort to recognize and acknowledge their achievements is bound to improve morale and decrease your turnover rate. Both of those are good things, but it’s easy to discount those words since there’s no hard data behind them, so let’s have a look at that hard data. Those are compelling figures and they underscore a simple message that too many business owners miss. The better you treat your employees, the better they’ll treat you. The modern work environment is changing. In decades past, when the Baby Boomer generation was the dominant force in the workplace, standard monetary incentives and a few perks like a preferred parking space or the occasional casual dress day. Today’s work environment is dominated by Millennials, who have different aims, goals and needs. Recognition is one of the major ones, and if you’re not meeting those needs, they’re almost certain to move on and find an employer who will. 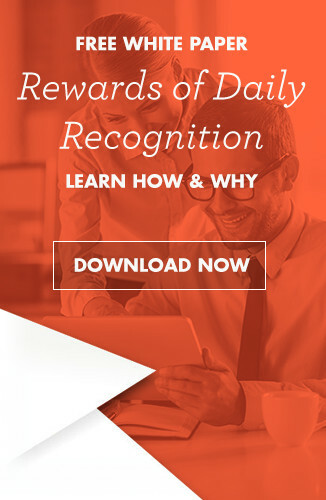 The good news is that setting up a recognition program is a lesson in simplicity. Sure, you can make it complex, but there’s no real benefit to doing so. The best and most successful employee recognition programs get heavy buy in and are driven in large part by the employees themselves. If you don’t yet have one, the first thing to do is to make it known to your employees that you’d like to create one and hand pick a team to help you fashion it. They’ll be able to guide your thinking and make sure that the program is designed for maximum impact. Of course, employee buy in or no, it won’t succeed until and unless you and your management team fully embrace it, give it a modestly sized operating budget and then use it for the purpose it was intended. Again, the goal here shouldn’t be to limit recognition to a few national holidays and the employee’s birthday, but to establish a system that sees the spotlight shine on your star performers when and as they make a significant achievement in pursuit of your company’s goals. Note that while gifts are always appreciated, recognition doesn’t have to exclusively center around that. Sometimes something as simple as a public acknowledgement of achievement or a hand written, heartfelt note or card of appreciation is enough. Listen to your committee and listen to your instincts. Both will serve you well.